Suddenly there is. 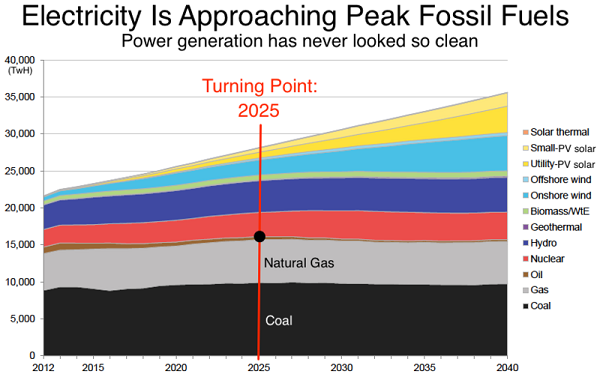 The price of gas-fired electricity threatens manufacturing jobs, and gas is needed to replace coal-fired power. Emerson says there are three possible solutions. First, NSW and Victoria could lift the moratoria on coal seam gas exploration and development. Second, consideration is being given to a floating storage facility to receive gas from WA or an oversupplied international market. Since the federal government is considering a $1 billion concessionary loan from the Northern Australia Infrastructure Fund for a rail link from the Adani coalmine in Queensland, it might also consider a loan for the proposed pipeline. That in brief was Craig Emerson’s advice in mid-January. Malcolm Turnbull in his speech to the National Press Club doesn’t really make the case as to why we need gas, he just says we need it, and his only answer is to get NSW and Victoria to stop their embargo on coal seam gas. Craig Emerson similarly does not produce a detailed case as to why gas is necessary. 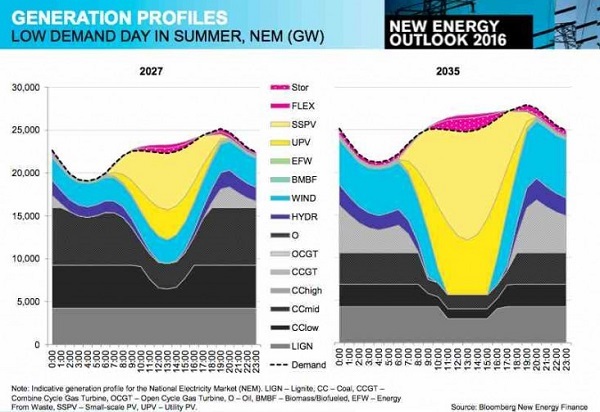 BNEF says coal and gas generation will fall from 70 per cent of capacity today to 16 per cent by 2040, while wind and solar will jump from 14 per cent to 59 per cent and more than a third of capacity will be “behind the meter” in people’s homes. It’s noteworthy that under their scenario gas persists, and grows a bit. If this is the case then gas is a problem. The real lesson from South Australia was not the September storm, it was the winter price hike, which Bloomberg says was mainly caused by a broken gas market in SA. Gas was being sold on the export market, and for heating, to the neglect of power production, where spare, unused gas generation capacity actually existed. Gas plays a vital role when the sun is not available. 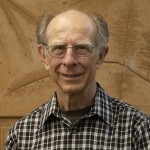 Andrew Blakers, Bin Lu, Matthew Stocks undertook research to model a 100% renewable energy system, using only established large-scale technologies, that is, technologies which have been deployed in existing facilities of greater than 100 gigawatts, modelled a 100% renewables electricity system. That came down to just three – namely wind, PV and PHES (off-river pumped hydro energy storage). No gas. 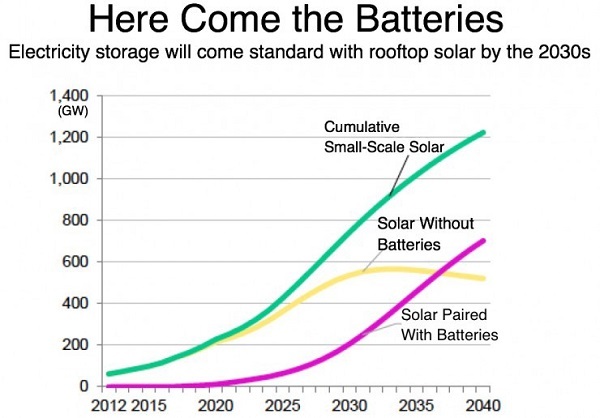 They say that storage becomes necessary when the target of 50% renewables is reached. They say off-river is best – no problems with floods and there are masses of suitable sites with a typical elevation difference of 750 m. The PHES facilities do not need to be located next to power generation facilities. The reservoirs are recharged by sun during the day, and by wind at night while we are asleep. Their costing takes into account periods of several successive days of overcast and windless weather, which occur only once every few years. No gas and no batteries, which they say are too expensive for the present, but will have a future. Batteries provide the most instantly dispatchable power. Over the past four decades, for every doubling in scale of the solar industry, the price of solar modules has dropped roughly 26 percent. That’s what is called the ‘learning rate’ as production quantities increase. 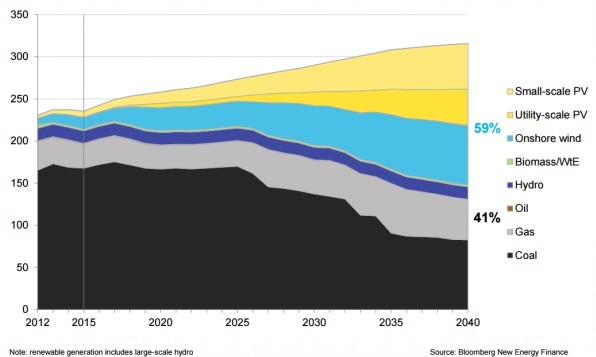 BNEF projects that by 2040, the world will invest an astonishing $3.4 trillion in solar alone — more than the projected cumulative investment for all new fossil fuels and new nuclear combined. Therefore, learning and cost drops will continue, meaning solar, wind and other technologies will become the cheapest ways to produce power in more and more places. 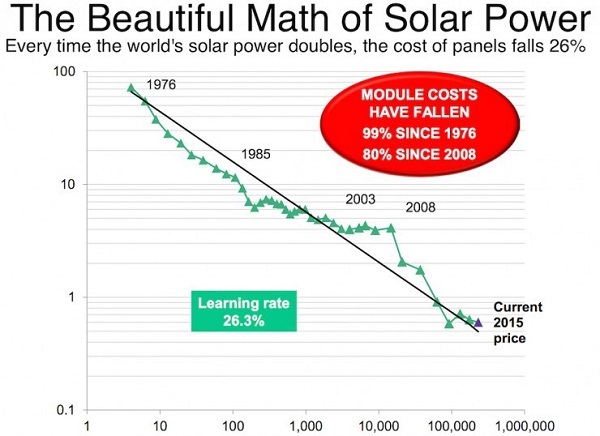 So the world is turning to solar, and the ‘learning’ will continue. Reminder: we are talking about electricity here, but if we decarbonise electricity much of transport and other functions can be decarbonised also. 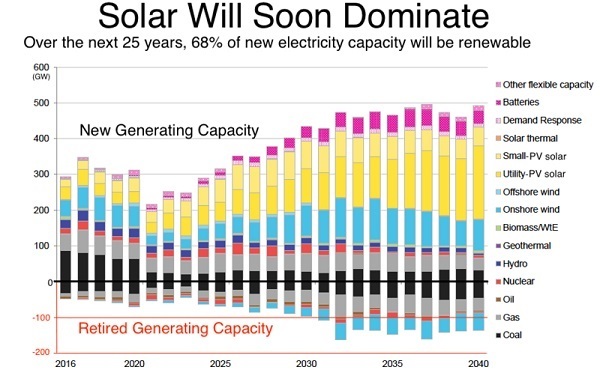 It seems to me that a responsible approach would be to concentrate on reaching 50% wind and solar as soon as possible, phasing in pumped storage and batteries as we approach that target. Coal is too dirty, too expensive and unnecessary for us, though its use is being extended elsewhere in the world. If we need gas here, which is ironically too expensive for us while being dirt cheap at the price we sell it to the rest of the world, a pipeline from the NT would be better than carving up farmland with coal seam gas, and better than using public money to build pointless ultra-supercritical coal-fired power stations. Apart from sheer ignorance too many of the commentators have skin in the game and commentating as lobbyists, not detached experts. The other problem is that the experts come from a range of backgrounds and this is affecting what they say. For example, people with grid backgrounds see the whole thing as a grid problem which may or may not be true. In addition, the grid people sometimes talk as though answers have got to fit around their limited view of what grids can handle. These 2 comments in REnewEconomy just about sums things up:Rhys Muldoon:“So granddad, what did the politicians do when climate change began being irreversible? 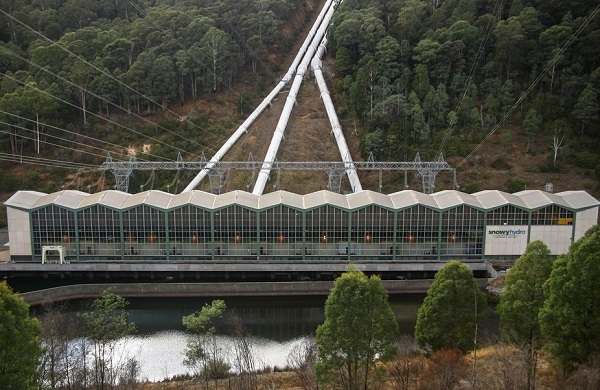 In a dry place like Australia it is important that pumped storage has a reliable source of water even though the only water losses are evaporation and seepage. The best locations may be places that have access to sea water but keep in mind this increases material costs and seepage of salt water into water tables may not always be acceptable..